Hello, MFGG people! 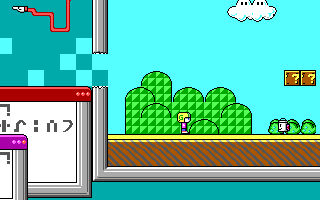 On January 7, I released a mod of Commander Keen 2 on my website. Now, I decided to release it here for those that are interested (if there are any, that is). This mod, if you somehow skipped the title and screenshot, is called The Mortrix. It takes inspiration from Wario vs. Windows and Birdo vs. Macintosh, while trying out new ideas with the Keen 1-3 engine and features of Keen 2. The Mortrix contains as much levels as the original game, having a total of 16 (1 of which is a secret level). 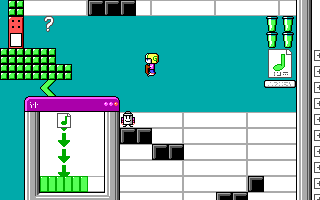 It also shows off some skills of mine that I haven't demonstrated here very often, such as original characters (barring cameos and mentions, that should be all except for Commander Keen himself and Nisaba) and level design. Also, The Mortrix uses tons of SGA, a writing system that's used in the Keen games. Reading SGA isn't required to beat the mod, but I think a lot of the messages I put into the windows in the mod are rather humorous. If you want to learn SGA, you can just look it up. So, feel free to say something about The Mortrix here! Those screenshots in the right column look fantastic! Entering a Mario Bros 3 land and the windows on top of that. @Hungry San Thanks for the comment! Keep in mind that while there are a few changes between the beta and released versions, there's not much differences overall. I'm very flattered you took inspiration from my game, considering your sprite submissions of some stuff from this mod on the main site have inspired me in return! 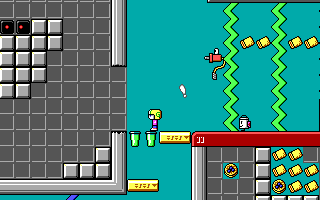 I love that you're as big a fan of Commander Keen as you are, I happen to have a strong fascination for old 2D PC platformers - this one and Jazz Jackrabbit are so tight, man. That one also has a fairly robust modding community, imagine that! 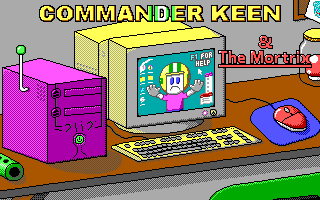 I want to check this out because of how quirky and absurd it is, but I confess I've never played a mod of Commander Keen up to this point, so I'll work out doing that first. I definitely love how you worked in the Copyright Infringement/SMB3 tech demo stuff into an area, that's just amazing.